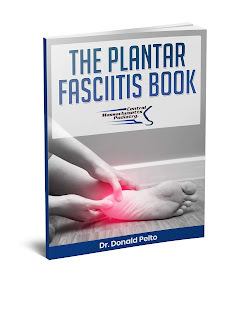 Dr. Pelto's Blog: Wearing socks can fool you if you have neuropathy... Got Socks? Wearing socks can fool you if you have neuropathy... Got Socks? Many of my patients have diabetes and neuropathy and they are always looking for tips to make them feel better with this really debilitating problem. I will first start talking about neuropathy. 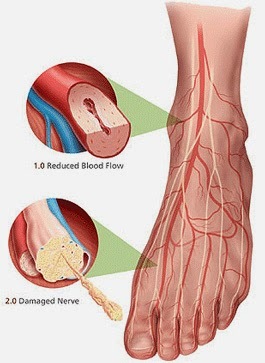 Neuropathy is a condition where your nerves become affected, usually due to diabetes, but there are other conditions that happen, and your nerve tends to either have lack of blood flow to the area of the nerve or the nerve gets kind of intoxicated by the blood sugar level causing it to swell. One little tip that a patient gave me is he wore socks at nighttime and that really helped fool himself and his brain because there was some type of pressure on the foot. He didn’t have the neuropathy pains as much. So just a thought, if you do have neuropathy, you may want to try on a pair of socks at night to see if that helps a little bit with your pain. If it does not, you may want to see a neurologist or your podiatrist. There are different types of medications or medical grade foods that can be used typically in the office. There is something called Metanx that is a medical grade food that you can use, and there is also Neurontin, Lyrica and Cymbalta, which are all medications that can be used to help with the pain that you have with the neuropathy.